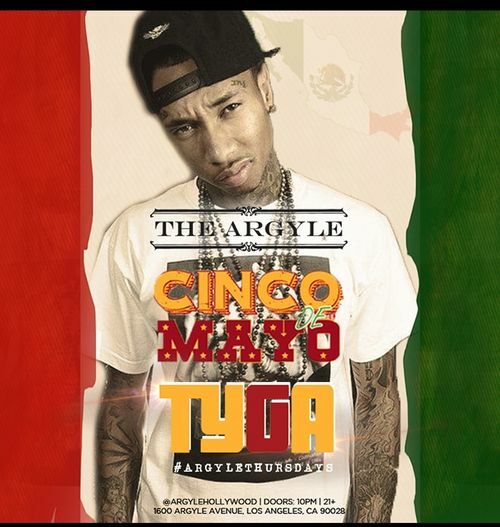 Tyga Cinco de Mayo May 5 @ The Argyle. 10:00 pm. Tyga hosts Argyle Thursdays.